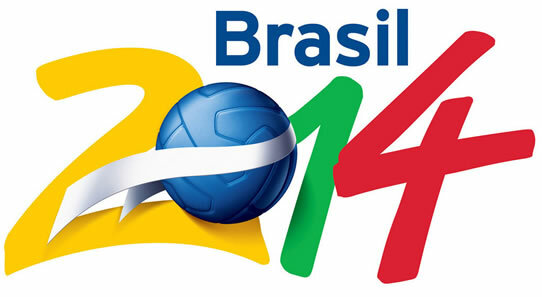 Brazil is basically counting days for the football World Cup to start in South Africa. 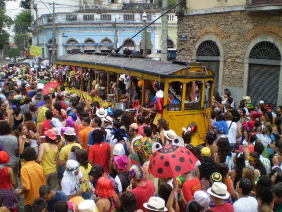 Anywhere you go, you will se streets decorated with green and yellow items. Stores are full of T-shirts, flags, hats and other material to support the national team. If you are in Brazil, there simply is no way for you to ignore this happening. The passion Brazilians have for football is something extraordinary. You might have thought people go crazy with ice-hockey or Formula 1, but if you ever happened to be in Brazil during an important football match you know what it is like to become crazy due to sports. Here the emotions are stronger than life, something that may occassionally cause even confusions if the result is not as expected. In case you are into football, make sure to assist at least one match on the stadium that during your trip to Brazil. It will assure a once in a life time experience for you, as assisting a football match in Brazil is a lot more than just a game. It’s a mixture of feelings, combined with songs and shouting whenever the team is in need of support. In few weeks the national team starts hunting the sixth victory in World Cup. It’s not an easy challenge and even if the coach have been criticed due to his choices, each and every brazilian is supporting the team hoping for the best possible result. And what if Brazil where the next champion? What if they were the first team returning back home with the sixth victory. If this happened all the critics would immediately be forgotten and joy would fill both the streets and the heart of the Brazilians. During the World Cup Brazil will basically be paralized. Stores will close their doors, banks will interupt the routines and only urgent cases will be attended in fields of commerce and services. All the attention will be paid on TV screens and the further the Cup goes the bigger the emotions are. This makes me wonder, how will it be in 2014, when Brazil hosts the World Cup. 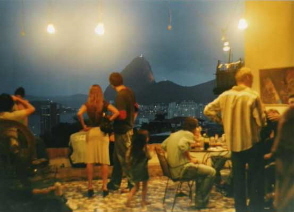 When the world will look for Brazil, Brazil keeps on looking at the stadium. World Cup 2014 in Brazil will be pure passion! 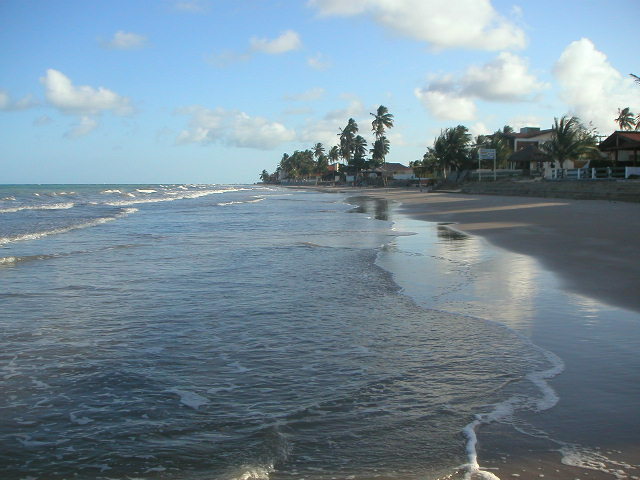 Maragogi is a sleepy fisherman village in the beautiful coast of Alagoas, close to the frontier with Pernambuco. Its’ a perfect place for relaxation in the middle of beautiful nature. 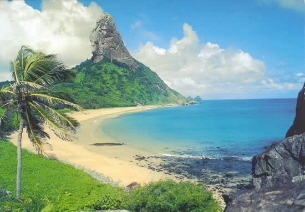 The easiest way to reach Maragogi is by car, either from the direction of the state capital Maceio or from the direction of Recife, the capital of Pernambuco. 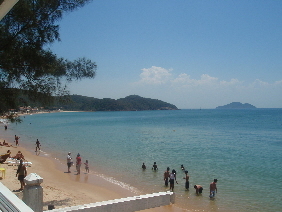 Rent a car or hire a private transfer and get transported directly to this paradise kind of holiday village with a favourable location almost in between of two important state capitals. 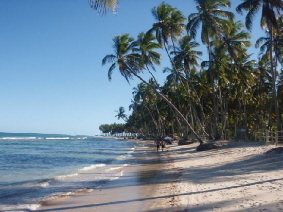 Just like the major part of the Alagoas coast, the region of Maragogi is also filled with palm trees. Once you see the sea shimmering in all the possible colors of blue, turquoise and green, you really start wondering if there is any other place where the natural settings could be more similar to paradise than here. 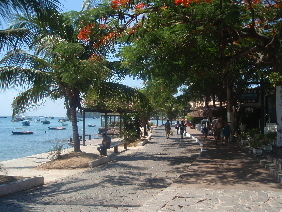 Compared to many other holiday village of the northeastern coast, the village of Maragogi is still not that developed, which is fact is an advantage making your holiday in Maragogi different compared to more explored destinations like Porto de Galinhas, a popular holiday village in the Pernambuco. Get accommodated in one of the pousadas located along the coast, a short distance from the village of Maragogi, and enjoy the presence of the nature. 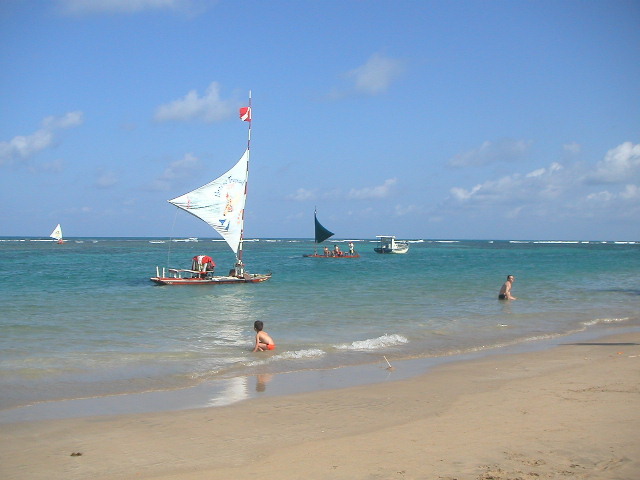 Maragogi is also an excellent destination for families who are looking for peace and relaxation, while the kids are busy with playing on the shore. 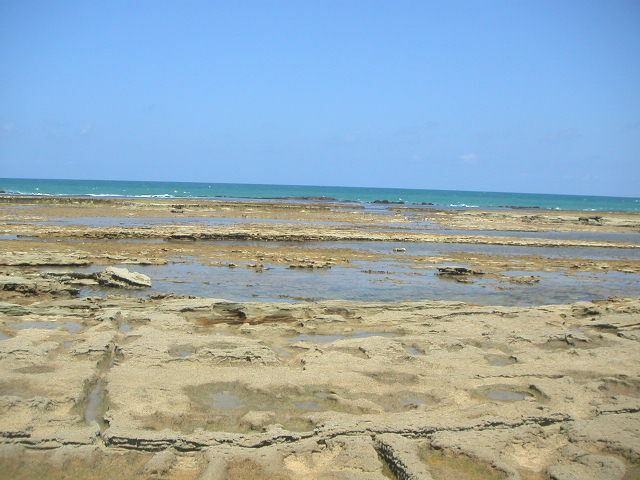 During the low tide a big part of the reefs is visible and it seems like if the waves, which still last night hit the shore, have disappered. So why don’t you just walk around the beach, sit down on the shore and wait how the warm water slowly starts rising again, just like if you were in a natural bathtub waiting for it to be filled again. Together with the sun, warm turquoise waters and beautiful landscapes, the principal attraction of Maragogi are the natural swimming pools. Make sure you take an excursion to the most famous of them, As Galés, and enjoy the colorful underwater life by snorkeling around in these clear water of Maragogi. 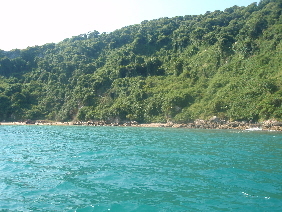 If you arrived to Maragogi by car, don’t forget to experience the ecological route, departing from Maragogi in the direction of south. This route will show you some of the most breathtaking views while you drive along the coastline surrouded with numerous palm trees. 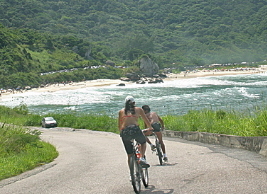 One of the attractions along the route is a possibility for an excursion, which allows you to observe the presence of sea cows in the region. 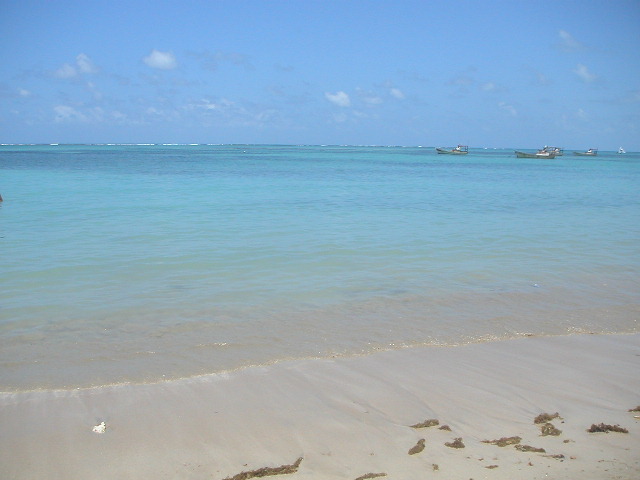 Maragogi is a real hidden pearl of Alagoas, a natural paradise with relatively easy access, amazingly beautiful nature and fully relaxing tranquility. If you are looking for a peaceful and easygoing holiday under neverending sun with no need for shopping, night life and excessive number of activities, Maragogi might be just a perfect choice for you. 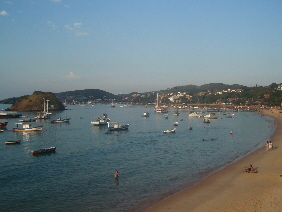 Pousada Barra Velha – A very cozy and comfortable pousada right in front of the sea with excellent level of service. Stay in Barra Velha and feel yourself at home. 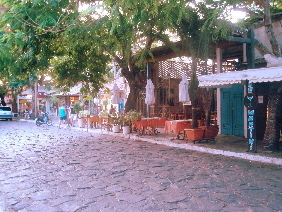 Restaurante Calamares – An excellent restaurant on Pernambuco’s side, right after the frontier of the two states. Try out some of the delicious seafood dishes, specialities of the house. 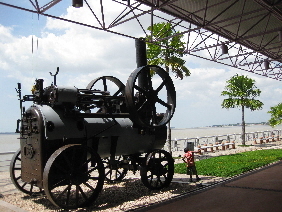 Before finishing our chronicle of Pará we want to introduce the state capital Belem for you. 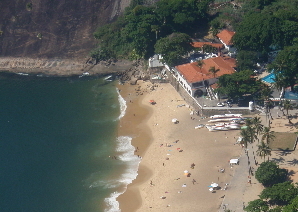 Belem is among the most important cities of northern Brazil and is a excellent gateway for this huge region with numerous eco-tourism destinations. The region of Belem has been home for indigenous tribes and controlled by portuguese conquerors, but today it is an interesting mixture of culture, history and present. When travelling to Belem, make sure you get accommodated in the city center close to the old port called Estacão das Docas, which has been reformed to serve both locals and tourists with numerous restaurants, bars and shops. This elegant riverside destination is among the most visited parts of Belem and has an excellent access to other nearby attractions. Right next to Estacão das Docas you will find a famouss market place called Ver-o-Peso. 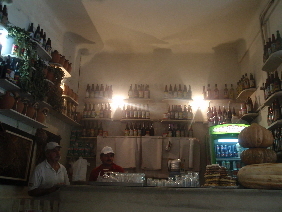 Here you will find basically anything from local herbs to souvenirs and be able to taste the famous Açai of the Amazon. 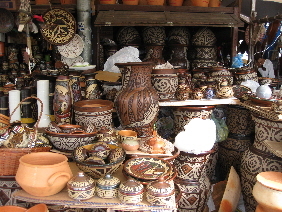 Ver-o-Peso is an excellent place to buy souveniers as you will find a large variety of resonably prised handcrafts. Right next to the market place stands a museum introducing the indigenous cultures and their traditions to you, it’s also a good place to shop some handcrafts done by the local tribes. While you walk along the riverside you will come to the oldest part of Belem, which is filled with colonial style buildings reminding us of the era, when Belem was controlled by the portuguese conquerors. These colourful buildings are worth admiring and today many of them serve either as museums or as restaurants. 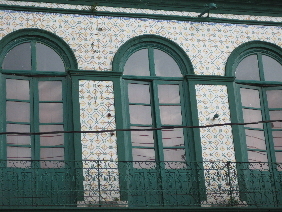 In the hearth of the old town, right at the square of Frei Caetano Brandão you will find a number of attractions, like the impressive Cathedral of Sé, the Palacete of 11 windows (Casa das 11 Janelas) and the old fort of Belem. 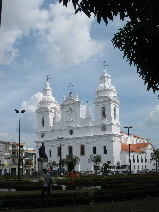 The Cathedral of Sé is considered as one of the most beautiful churches in Brasil and the former mansion, Palacete of 11 windows on the other hand is a well conserved historical building, which today hosts a museum and a stylish restaurant with same name. The fort of Belem takes you all the way back to the days when the portugueses landed here in 1616, and built the fort with an intention to start controlling these distant lands. Today the fort includes also a very interesting museum taking you to the history of the indian tribes and showing a large number of historical items found in the archelogical excavations. Today Belem is a culinary capital of Amazon region with many stylish restaurants offering tasty meals prepared with local specilities. Try out lunch at the restaurant of Mangal das Gracas, an ambiental park that in addition to the culinary experiences introduces you also to the nature of these ecuatorial regions. For a romantic dinner at candle light, try out the fancy restaurant of Casa das 11 Janelas (the Palacete of 11 windows), where you will feel the presence of history while you enjoy your meal. 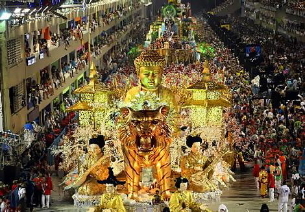 Every October the largest catholic festival the Cirio de Nazaré is celebrated in the streets of Belem as homage for the virgin of Nazaré. 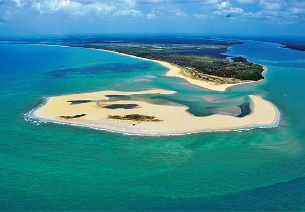 Once you are familiar with Belem, check out the other attractions (Ilha do Algodoal, Ilha do Marajó and Alter do Chão) of this state where all the events are accompanied by local music Carimbo. Hotel Espresso XXI Nazaré – If you search for a centrally located accommodation suitable both for business and leisure, try out Espresso XXI Nazaré a modern hotel in the hearth of Belem.